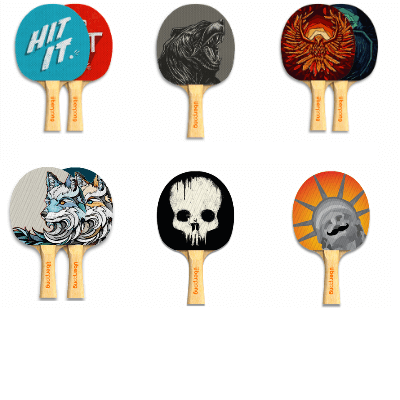 Become an Uberpong designer and be part of the coolest ping pong brand in the world. Your work will be seen around the world! Ready to submit a design? Follow the simple instructions below using our designer template kit. 2. Create a 300 dpi flattened copy of your design. Will it have the same design on both sides of the paddle? Download the One Design Template. Will it have a different design on each side of the paddle? Download the Two Design Template. 4. Save your files as JPGs or PNGs and send your submission to info@uberpong.com.